Recurve bows have become more and more popular over the years as hunting has become more advanced, like any other market in the world. The recurve bow market was not very saturated just over a decade ago; however, after many advances in technology recurve bows now are much more sophisticated. When I got into hunting I first used the traditional guns you can pick up. But I wanted something more challenging, so I turned to bows and I started training with a traditional recurve bow. Then I joined up with the Stuffoholics team to find out the best recurve bow available on the market. At Stuffoholics, we tested all of the best recurve bows on the market in order to help you find the best one for you as an archery fan. We carefully analyzed all of the important features in a recurve bow and even made a report for you to look at based off of our research and testing. We decided on a top 10 list to make it easier to choose the right product for you, as we categorized the bows. What to Look for in a Good Recurve Bow? Who Are Recurve Bows For? It always seems hard to trust a random person on the internet who thinks they know everything. However, I really do have the right experience. We at Stuffoholics have tested near to 30 recurve bows which we believe the best suit our audience on this site, which we have been maintaining for over 5 years. Our main priority is to ensure our audience can buy the right product for them and we do as much as possible to put this into place. We have taken our time which was around 70 hours in order to test practically all of the 30 recurve bows. Along with this, we took into account community-based usage to make the most accurate top recurve bow list possible. We have not promoted any brand on this list as we believe this doesn’t matter and we only want the best quality to recurve bows, not the manufacturers with the best reputation. Chosen after a lot of research and other factors we have come up with the best recurve bow list on the entire internet. A recurve bow is different from the traditional longbow in the sense that the limbs curve and recurve outwards on the ends. This helps keep the recurve bow compact and store more energy in the limbs for the same draw-weight when compared to a longbow. A recurve bow is a fair amount smaller than a traditional straight-limbed bow. This makes it good to store when moving through clustered areas such as jungles and woodland. Recurve bows are also a lot more strained with the materials that create less stability but a lot more noise. Some of the most extreme recurve bows make the bow practically unusable when strung. 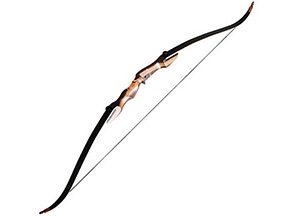 A lot of these types of bows are unusual shapes and a lot of Native Americans used to string them incorrectly, resulting in a break of the bow when attempting to use it. What your bow is supposed to be for is incredibly important no matter the recurve bow is meant for hunting practice or target practice. At archery tournaments and matches a recurve bow is usually the main bow of choice, so if you’re eager to master archery then you should look into a recurve bow. Also, hunting actual animals can be hard with a recurve bow as the accuracy is quite bad. However, the fatal shot on an animal can be landed most of the time with lots of bow practice. 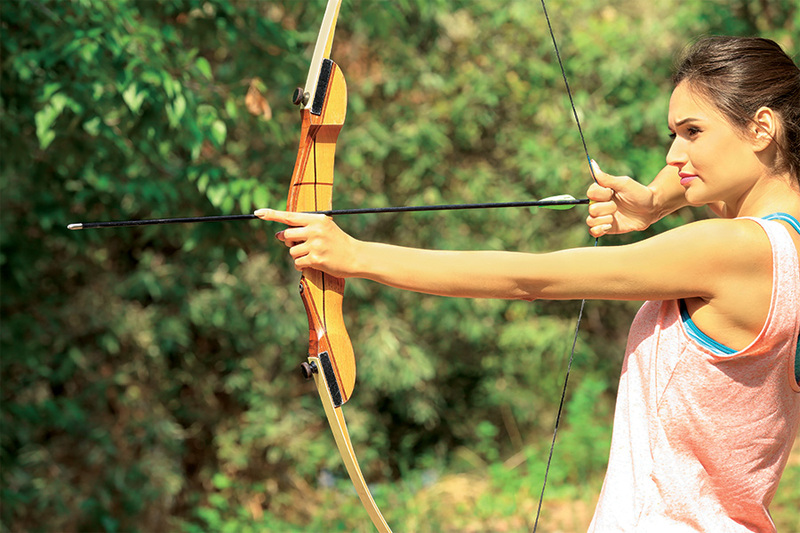 The preferred bow for you should suit your style and whether you are left or right handed. Along with this, the draw weight should be considered as it could be too heavy for you to handle. As well as this, countries may only permit bows in a certain weight range for hunting legally. The same can be said for the box weight of a recurve bow. The quality of the nocking point can be essential for the accuracy of a shot that could be fatal to an animal’s life. So, the quality of a nocking point on a bow should be great so you can get the most accurate shots. A riser is the part of the bow you grip with your palms, so this part should be extremely comfortable for a fantastic recurve bow. If the grip is not comfortable there might be irritation and therefore, mistakes. 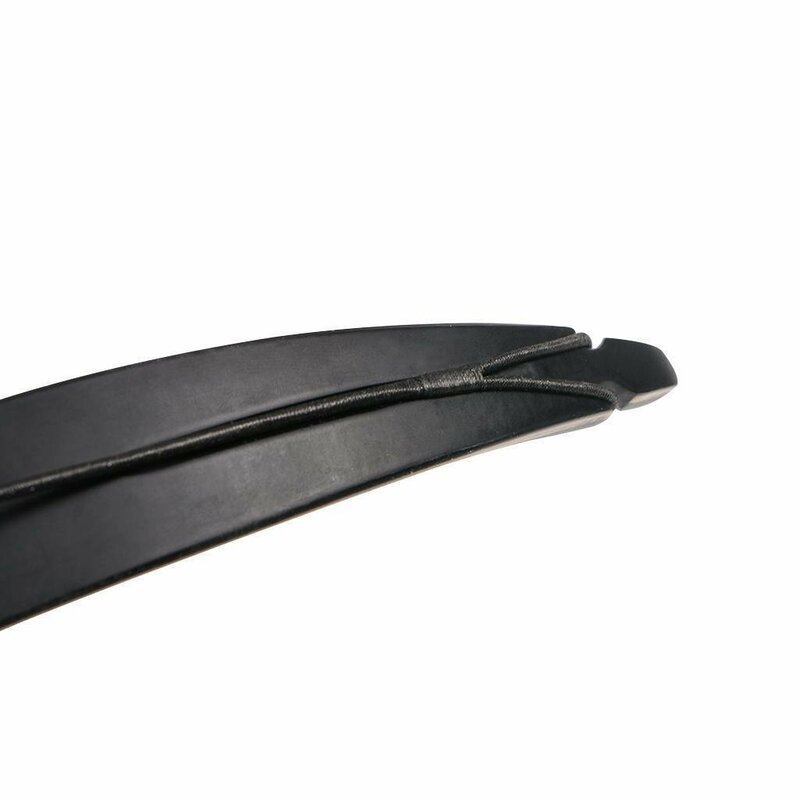 The two ends of the curves should be made with long-lasting materials as this is where the string connects to and when this is broken you cannot do anything with a bow. The warranty of a recurve bow shows how confident a manufacturer is in their product not breaking. If they have a high warranty you should seriously consider purchasing the recurve bow. Recurve bows can be for a lot of people, whether it is a hunter who has been hunting for decades, a beginner or somebody that wants to display a recurve bow inside of a piece of property. Recurve bows are often used as an appealing object at home, which can simply be hung on the wall as a piece of memorabilia. Also, former hunters may keep a recurve bow in their home in order to remind them of their past actions. Whether to pick a recurve or a compound bow is always a technical matter. Although beginners are likely to start with a compound bow because they are good to practice with and more accurate, professionals might prefer a recurve bow over another bow type. However, the cheaper price and easy assembly are beginners’ features that come with recurve bows. There are many benefits that a recurve bow will give you if you choose it over another type of bow. One of these is the speed of a recurve bow and how fast the bow will be shooting arrows. This is down to the fact that the limbs are further back which allows the bow to release more energy. Also, recurve bows are a lot more portable and therefore, easier to store than the other types of bows on the market. This is because recurve bows can be safely taken apart extremely easily. For those who like traveling this makes recurve bows useful. The archery experience you will get from using a recurve bow is a lot more traditional than that of a more modern model. This is because recurve bows do not come with attachments like sights that are on compound bows. This makes it harder and more challenging which some archers love to have with their bows. We selected our products by collecting practical testing data which was produced by a few chosen and qualified volunteers. Along with this factor was the factor of experts’ opinions which we also took into account. We had 40 overall primary choices, however, we tested just over 30. Of course, none of those bows were perfect but based on factors mentioned above we have created the most accurate top 10 recurve bow list possible. We focused on our volunteers on a number of features that we believe are the most important in a recurve bow. This includes, not in order, purpose, nocking point, box weight, limbs, draw weight, attachments, quality of the riser, warranty and special features. The features above allowed us to create the top 10 list with the utmost accuracy. After the analyzation of the 30 most important features to a recurve bow for each and every product, we have made a research report which is open for you to read to help you choose the right product. Before you look at this we would like you to like any one of our social pages. Made of diamond wood and hard maple, this bow will pack a punch every time. With so many features and incredible power, this is a brilliant value bow. After the analyzation of the main 28 features that we believe are the most effective and important we decided that this Samick Sage product was easily the best on the market. We found out that this product has the most amount of positive features and the maximum amount of combinations of unique and positive features. We noticed that the most powerful features that were part of this recurve bow were the 62-inch AMO (know more about AMO standards here), which created a stable shot each and every time. This works at any length of draw. Also, the limbs can be exchanged to suit different draw lengths and weights. 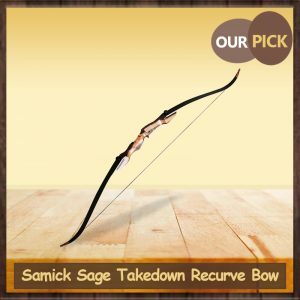 This product consists of diamond wood as well as hard maple which makes this Samick Sage powerful but lightweight, which makes this product suitable for any archer or hunter. All of these excellent features become affordable in a price range of just fewer than 120 dollars. After the comparison of the frequency rating of all the products in the top 10 list, we discovered that this product is receiving ratings at an exceptional rate. You can look at our research report for the exact details. There are plenty of special features that really stood out among the other 9 tested products. Some of the special features are called radiused and shooting off the shell by the cut on center shelf. The appearance of this amazing product is beautiful. The design is very modern with the materials used but you can also notice a traditional look with the very smooth bend. The design is also very thin which makes it incredibly portable to store and transport, which is great for traveling archers. The appearance is traditional wood which is polished but it does not look rushed or fake in any way. The wood variates from a darker tone and a lighter Oakwood tone which is honestly really effective and attractive. The type of technique you use does not matter as you can use any hand, right or left with this product as you can purchase the right one for your type of style. Also, the recommended draw length is 29 inches which are fine to use and does not restrict a lot of power as you can still produce a really powerful shot. Stringing does not come with this product, rather you will have to buy a string separately to get your recurve bow stringed and ready for action. In fact, the string is quite cheap. We had to be quite cautious when buying arrows in case they were too big for the recommended draw length, however, we settled on 29-inch arrows. These arrows worked fine but we were not able to test shorter arrows in order to compare the two lengths and which was genuinely better to shoot from. The comfort factor of this product was very advanced which also made for a very good safe experience. The hard maple wood limbs were very comfortable as well as quite soft for a wood. This did not cause any splinters which we were worried about for some of the other products on this list which have different prices, cheap and some in the sale. This product is extremely worth it considering its rather cheap price compared to other prices on this list. Shooting is very clean which is great for hunting, especially for the price of just fewer than 120 dollars. 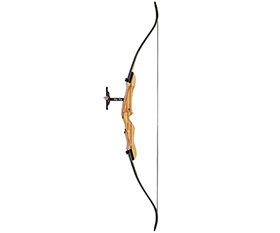 We do recommend this best recurve bow to both professionals and beginners as they can suit both user types in a variety of ways. A close second choice and a rival for the top spot, this Spyder bow has some great features. All it needs is an improved draw length, to make it a really awesome bow. Why is this product our Runner-Up Pick? This Spyder Takedown bow is fantastic and holds a lot of positive features, which can be seen via our research report which you can see after liking any of Stuffoholics social media pages. Compared to the other products, like the top pick, this product has a nice combination of the unique and positive features. All of this comes in a good price range compared to the other prices on the list and also with a long trustworthy warranty. The frequency rating is also extraordinary in comparison to most of the other tested products. All the features of this Spyder model beat our top pick except for one very important topic, the maximum draw length. For this reason and the higher price, we have placed this product as a respectable runner-up. The maximum draw weight of this product is only 60 pounds, however, you can go for much lighter weights which go down to 20 pounds. These are all quite easy to hold and use for a long time depending on how strong you are. On Amazon, there is a very helpful table on the average strengths of all ages of both women and men. The right-and left-handed archers can both enjoy this fabulous product as this product can be bought as a modeled right handed bow or a purposely made left handed bow. We had dominant right-handed volunteers as well as dominant left-handers who both generally liked the product. The assembly of this product is very easy and it is quite a unique feature, which can be seen through our well put together research report. The two limbs are simply mounted together and many other simple steps follow this step. A full instruction manual can be found on Amazon and when you buy the product an instruction manual comes with it, safely in the secure box. 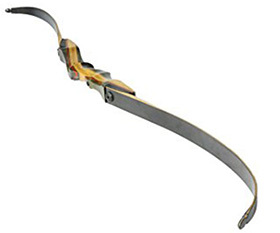 A good quality stringer tool is required to disassemble or assemble any bow from its strings. A fantastic stringer comes with this product for a little extra price, which was amazing to use. However, if you already own one you do not have to bother as you can choose the option to buy this product without the stringer for a more cheap price. This product’s handle was incredible and it was so comfortable with a lot of grips, which made this product very safe. The comfort and grip also improved the quality of each shot. Talking about quality, there were so many attachments that could be added to this product. These included shelf pads, arrow pads, stabilizes and many more. Lower maximum draw length than the first pick. I believe that this product is quite cheap for the amazing quality it comes with. The excessive attachments and great safety come with the price, when not in the sale of under 170 dollars which is good for beginners as quite a traditional product which will not take too much money out of your bank, and money is important to beginners. This bow is easy to put together and is simple for first-timers to practice your target shooting. And it isn’t too expensive, which is perfect! Why is this product our Beginners Pick? After many hours of dedicated research and testing, we have decided that this product is easily the best for beginners as it was great for target practice. This is because we realized that this KESHES Takedown has the best and easiest assembly as well as the easiest way to shoot for beginners. The amazing blast brushing comes already installed in the bow which is suitable for any upgrade, including sight, stabilizer, quiver and brass plungers. The takedown feature makes it suitable for an increase or decrease in weight if beginners grow and become stronger. These great features for a beginner come within a good price range, which is essential to beginners and for this and many other reasons we have named this as the best pick for beginners and so have many other reviews. The first thing we have to say is that all of our beginners that volunteered to trial this product believed it was easily the most effective recurve bow for beginners on the market. One reason for this was the amazing comfortability that was on this product, which made it great for beginners. The edges are rounded to start with, this made them not sharp which causes harm to beginners holding a firm grip. The wooden handle is also extremely smooth which is great to grip onto which ensures the best shot possible. For beginners, comfort is essential and this shows in plenty of reviews across the internet. The warranty is not quite specified by the company, however, one of the unique features of a product is included in this product. This is the fact that you can get a full refund if you do not like the product or you are not satisfied with it. No matter the reason for the unsatisfied sense toward the product there will always be a certain refund. They do not have to be a break in the product but all that you need to say is you did not like the bow and you will get refunded in full, with no questions asked and no difficulties. This is important for beginners as they don’t know if they will like bowing in general, especially when shooting targets, leave alone the common archery jargons. All sorts of attachments can be added to this product for one pre-installed feature on this product which is the brass brushings. These allow for absolutely any type of upgrade and attachment. One upgrade that is possible is a stabilizer which obviously makes shooting an arrow as a beginner a lot less hard as you can land a much more precise shot a lot more often. This and the fact you can alter the weight of the limb all make this product fantastic in the features statistic. This product is great for beginners, but not for professionals as it is not the most powerful. Also, for beginners, this product is great at just under 100 dollars which is affordable to test out. Another great pick for beginners. Although this one is only for right-handers, it is really cheap, with a slim, clean appearance and brilliant length. This non-metal Top archery recurve bow could possibly be the best recurve bow for beginners as it is not heavy like a metal bow and it is also rated very well in its reviews. One of the things we rated the most was the appearance of this bow and even most of the reviews mentioned this about one of the best recurve bows on the market. We rated the slimness of this bow and also the slick black color which didn’t stand out but didn’t flash out from the rest, which is important for a lot of archers and most normal people even those who are not highly rated with a bow. The length of this product is quite good and average so it suits a lot of types of archers, whether it is a full grown male or a teenager. The length is 56 inches which are certainly not the highest on the entire list but it is somewhere in the middle which is great for all heights of people. The draw length is also similar to this and it allows for different types of arrows to be used without risk of damaging the string. The maximum draw length of 30 inches makes it applicable for practically every arrow that is traditionally used as well as some longer, more extravagant arrows which some experienced archers use a lot. 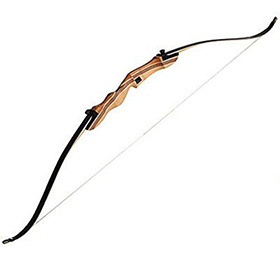 One problem is that this product is only suited to right-handed archers, which can be annoying for left-handed beginners as it is hard to find a good and cheap bow like this one elsewhere on the market. However, as most of the archers in the world, the only right-handed bow should not be a nuisance to most people as there little-left handers that are likely to be affected by the decision from the manufacturing company. Apart from the fact, this product is only for right-handers. This is also one of the best out there for beginners starting up. For a price of just under 100 dollars at its highest buyable weight it is certainly worth a look at. This SinoArt bow has everything you need. It is a sturdy model, with a modern design, that lets you take a good, steady shot time and time again. This SAS Courage is fantastic as it is so thin which makes it look modern. This look is not always loved but 68 percent of our volunteers who tested this recurve bow liked the design. The golden brown and dark brown contrast of smooth wood was also very effective. This combination felt very good and comfortable and it also kept a grip on the bow. The bow is also very long, at about 60 inches from top to bottom which can be seen as a good and bad thing. For children a bow of this magnitude would be rather hard to handle, however, a full-grown adult should easily be able to cope with the 60-inch bow. 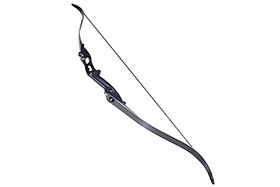 The warranty of this magnificent bow is 3 years guaranteed if anything is damaged or broken. This warranty shows that the company is confident in their product succeeding and they are confident it will not break. 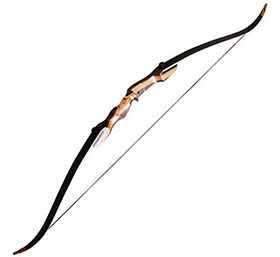 If anything breaks SAS will fully repair it so it looks and works like a brand-new recurve bow. We even tested this when one of our volunteers accidentally dropped their bow and it broke and also it gave an indent into the wood. We sent this to SAS and they repaired it, it looked as good as new. This Security Archery Supply product is very sturdy even though it is considerably thin. This product was very hard to break and would be near impossible with your hands alone. We had our volunteers try to snap the sturdy bow and each and every one of them failed, quite miserably. This sturdiness really helped increase the accuracy of the shot as the aiming aspect was in a still environment. This reason made it clear to us that this product was suitable for professionals as well as beginners. 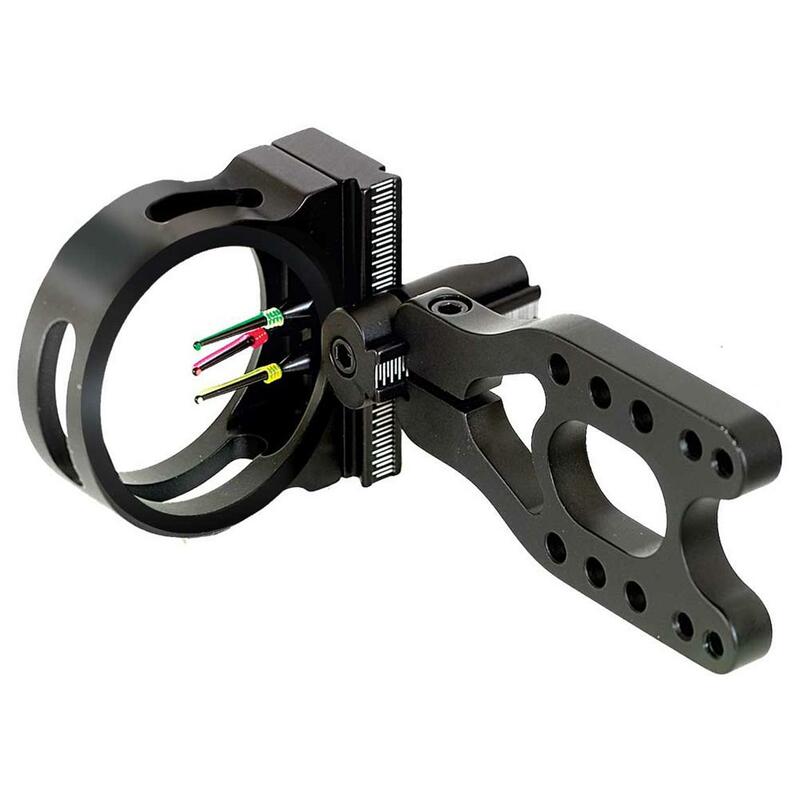 This product has everything you need, a good grip, a steady shot, and a nice design. For this reason, this product is quite cheap at under 130 dollars. One of the cheapest bows in our top ten, this bow still boasts a tonne of features. You can change the weights, it looks good, has two bow limbs and recurve bow sight! Quite a few of our volunteers believed this recurve bow was the best looking on the top 10 list, 20 percent of them in fact. Although, this is all down to the opinion the look of this bow is very clean and smooth. The wood is almost a yellow color but more towards a golden brown color, which contrasts well with the black on the corner of the limbs as well as the darker shade of brown which are lines in the golden brown wood. Also, the riser handle is extremely comfortable as well as lightweight, which makes it a lot easier to hold for the younger archers in their teens. The maximum draw length of this product is one of the biggest on the entire list, which allows the arrow to generate more power as it has a more exaggerated boost at the start of the string. The maximum draw length is 32 inches, which also supports the larger arrows which can suit professionals who like to kill definitely in a shot or for beginners who need a bigger arrow to hit a larger area. The weight can vary drastically, depending on your personal preference. The weights can range anywhere from 16 pounds to 36 pounds and absolutely anywhere in between. This can suit different age ranges, for example, a 14-year-old boy may want to use a 22-pound bow but a man might prefer a bow with a higher weight, or perhaps 32 pounds. There are lots of attachments that are useful and accessible with this product. One unique attachment is the recurve bow sight, which obviously increases aim a lot and makes it easier to see animals or for practicing accuracy on a target. There are many other attachments such as two bow limbs as well as an arrow rest. 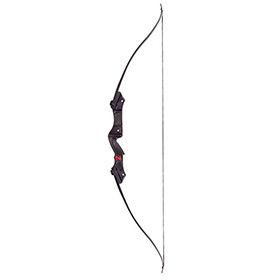 This recurve bow is easily one of the cheapest on this list, with it coming in under 100 dollars at any weight, with any attachments. There are plenty of features that make this bow suitable for anyone. This bow is arguably one of the highest quality on our list. It has a great design, as well as a good price, and is easy to assemble. The design of the Spyder XL Takedown Recurve Bow and Arrow Set really stands out in the glistening sunlight. This weather brings out a golden look to the bow which really lights up the bow. Along with the light brown design is the camo design that looks a little bit like snakeskin which is really unique as it absolutely stands out from the rest of the list. The snakeskin design features a dark green color and black lines to form the concept. This creates a really interesting image for those looking at the bow, which is great to show your friends and family. The weight of this Spyder can vary dramatically, but not as much as the SinoArt Takedown as we mentioned just before this. This product can be bought at as low of a weight as 30 pounds and the weight can be bought heavier, in increments of 5 pounds; however, the heaviest weight is 55 pounds. This helped the weaker of our volunteers at Stuffoholics, as well as the strongest in the group of volunteers we picked out through intelligence, not their skill, personality or weight. Although, for those parents looking to get their kids involved with archery this product is probably not the correct one as the weights are significantly higher than an average child could handle for a sufficient amount of time. 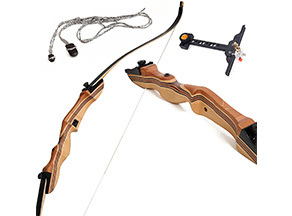 This particular recurve bow makes assembly as simple as possible even if you don’t know how to assemble a recurve bow. There are only a few easy-to-follow steps that need to be done in order to make the bow after you have received its package, presumably from Amazon. The first step seems simple and it really is after you try it for yourself like we did, here at Stuffoholics. This step includes adding the two limbs with two included bolts onto the riser. The other steps are just as simple as this so there was no problem for us. 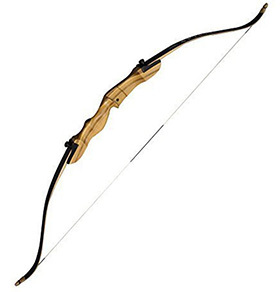 This recurve bow is one of the best quality, although it is not made out of metal. 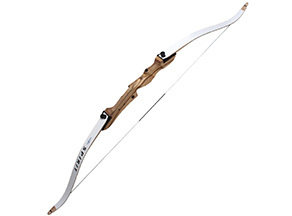 The non-metal recurve bow is quite modern in its looks and for a cheap price of just under 150 dollars which is one the cheapest prices for such a top quality weapon, especially when it is in the sale. In this case, look out for a bow sale to save some of your money, as money is important to most aware people. This bow doesn’t have much going for it. Although it is comfy to use, it is quite poor quality, so we’d recommend staying away from this one! 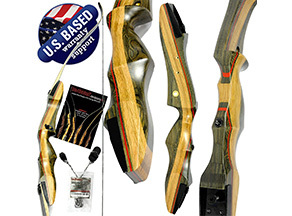 In terms of looks, this product doesn’t really have much going for it, as me and my volunteers found out when we handled the bow as part of the Stuffoholics project which was to help you find the best recurve bow on the market that suits you. This product uses silver as the limbs’ color which makes it look like metal and metal is bland, even if it’s in a sale. The color of silver is simply boring and doesn’t stand out from anything else that you can find online. Besides, let’s face it, you would rather have an extravagant bow like the Spyder Takedown Recurve Bow than a plain, boring colored bow. The color in the middle of the bow is traditional oak wood colored and material which makes the appearance somewhat decent. All of our volunteers could collectively agree that this recurve bow was very comfortable although, some of our volunteers did mention that they could feel the edges of the limbs digging into their skin which was quite annoying and off-putting. However, this did and would only apply to those who tightly grip their recurve bow limbs which is not unusual but it is advised not to grip a bow tightly as you want to be loosened up before shooting an arrow. This long-ranged weapon comes with a long warranty of 3 years which ensures a full replacement or refund if your recurve bow made by SAS as the model Spirit breaks unintentionally. This warranty shows that Southland Archery Supply is happy with their product and they believe it is stable enough to last for a minimum of 3 years. Otherwise, they would lose money every single time they sell this model. However, a normal bow would usually last around 5 years. 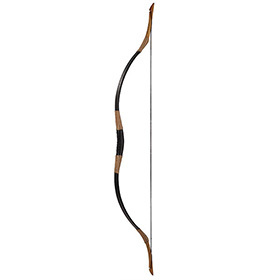 This product is not one of the best hunting bows, but some recurve bow reviews claimed it was. This is why I believe this product is not very cheap for its poor quality at just lower than 100 dollars. Although these bows have a reputation of being well made, this one doesn’t quite come up to scratch. It doesn’t look great, and there are better bows on the market. This recurve bow is easily the least powerful on the list as well as the thinnest and well, to put it frankly, weird looking. The company that made this recurve bow clearly went for a traditional look to the bow, while this was achieved it was not good to see or appealing to the eye in any way. On the bow, there is no pattern, rather just the same color of thread wrapped over and over again over the plain boring black original bow. This, in my opinion, just doesn’t stand out at all and this is what 84 percent of our volunteers also said about the situation. The weight of the top 9th recurve bow for us was fine as there were so many options to choose from, and I mean so many! The available weight range for this product was huge, ranging from just 20 pounds to 110 pounds and yes that is true, an 80-pound range for you to choose from. The range goes up in 5-pound increments so there is plenty to choose from so there will be no worry whether you are getting one too small or one too big. Also, this product is quite large in terms of size with a body length of 145 cm and a string length of close to the body length at 131 cm which is big enough for those who are that tall but it could cause a problem for the younger children. The manufacturing takes place in the state of China, where Longbow creation is a relatively small market, but Longbow makes does it best. They strongly believe that their bows are made with the utmost care and it can be seen they have a very good reputation. For a price of just under 120 dollars for certain weights that are readily available this product is worth it if you don’t care what it looks like, just the damage it can cause. This comes last on the list because although it is a safe and sturdy choice for beginners, it doesn’t offer much else. The looks of this Crosman airborne weapon are hideous but it is obvious the reason for the creation of this bow was not for the looks, rather help beginners get underway in the archery sport by shooting at targets with the arrows that are given to you. Although the appearance is dull it is also sharp on the edges which can be a major hazard and downfall to sales. The arrows, though, are very colorful towards the end which really lightens the mood on a rainy day. But, they can also be used to know they are yours when they go missing. What Hand Can This Be Used With? One disadvantage of this product is a small but very big thing that I would like to point out. This is the fact you can only be right-handed in order to use this product as there is no left-hand option available. This is a real shame for those left-handed beginners as they would not be able to get a cheap option to start working on their left-handed archery game. However, there are a few higher prices on the internet that represent left-handers which, if you cannot get this product, you should look at and make a conclusion. The materials used in the manufacturing of this product are extremely strong which, consequently, result in a sturdier plane. The sturdiness does come with a negative thought, the great sturdiness results in a higher limb weight which can be seen as bad or just a consequence of the other positive. The sturdy design can also work in all types of weather, which is great for those all year round archers who are usually professional hunters and know how to hunt with recurve bows. However, it is unlikely you would want to go out on a cold Winter day to do some archery. Personally, I would not buy this product for its RRP which is only 50 dollars. This is because of the terrible appearance and the fact it can only be for right-handers. Caring for your bow shouldn’t be too much to deal with as it is only a small amount of things that you have to do. One of these caring things you have to do to your bow is to use a bow stringer so the limbs don’t become twisted and broke. Also, when the bow is not being utilized you should always unstring it before locking it away in a cupboard, for instance. Overtightening the limb bolts is also a common mistake which can literally break the entire of the end of the limb which you can learn more about in one of the first two paragraphs. There is no doubt that finding the best recurve bow for the right reasons is complicated as there are so many firms in the business. Because recurve bows can be for many things and certain tasks you need to know whether you are going to buy a children’s bow, a man’s bows or even a bow utilized through hunting. However, whatever path you end up choosing I truly hope you have a wonderful time doing it!